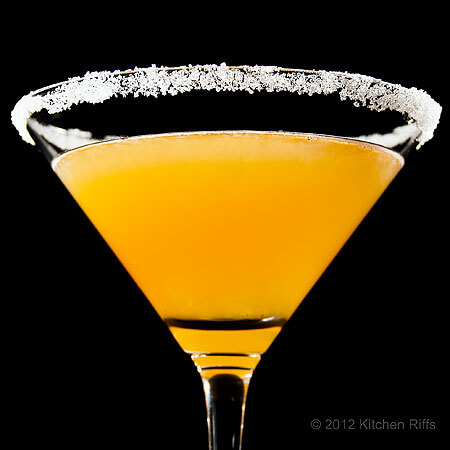 The Sidecar is a velvety smooth, cognac-fueled elixir that features both sweet and sour notes. Every time I have one, I wonder why I don’t drink it more often. In fact, it may be my “desert island cocktail” – the drink I’d choose if I could have only one. As is the case with many cocktails, the origins of the Sidecar are somewhat mysterious. Legend says the drink was invented in Paris during the 1920s. Some claim it was formulated in a small bistro. Others say Harry’s New York Bar. Still others say it originated at the bar of the Ritz Hotel. Reportedly, the inventor of the cocktail was an American Army officer — and the drink was named after the motorcycle sidecar he rode in during quaffing expeditions. But once you taste this fabulous drink, you won’t care where or how it originated. 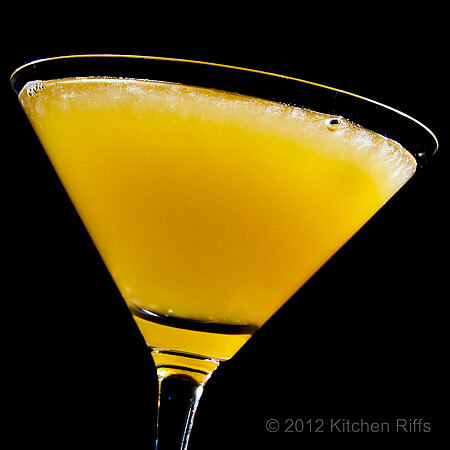 The Sidecar is simplicity itself: Just mix fresh lemon juice, Cointreau, and cognac (or brandy). Shake with ice, and serve in a cocktail glass. If you want to be traditional, you can sugar the rim of the glass. Or garnish with a lemon twist or orange slice. As with any drink that contains both sour (in this case, lemon) and sweet (Cointreau), getting the balance right is a matter of individual taste (more about this in the Notes). But to start, I would suggest one of the following ratios: either equal parts of lemon juice, Cointreau, and cognac; or 2 parts of cognac, and 1 part each of lemon juice and Cointreau. If you want to garnish the glass rim with sugar, wet the outside of the rim with lemon juice. Dip the outside of the rim in sugar, and swirl glass to coat. For the drink, combine lemon juice, Cointreau, and cognac in a cocktail shaker that is half filled with ice. Shake well for 20 - 30 seconds. Strain mixture into the cocktail glass. If you don’t sugar the rim, you could garnish with a lemon twist or orange slice. It makes the drink cold. Shaking with ice somewhat dilutes the drink, which adds volume and an important dimension to the final flavor. Lemon (or any citrus) juice is difficult to incorporate into a drink merely by stirring. So it’s better to shake a drink that contains citrus. Finding the right ratio or balance of ingredients for this drink is really a matter of taste. The traditional ratio is 1:1:1 (equal parts of lemon juice, Cointreau, and Cognac). This is sometimes called the “Paris” ratio, because it supposedly reflects the way the drink was first made in Paris. I suggest using this ratio for your first Sidecar. Some people think the Sidecar actually originated in London. 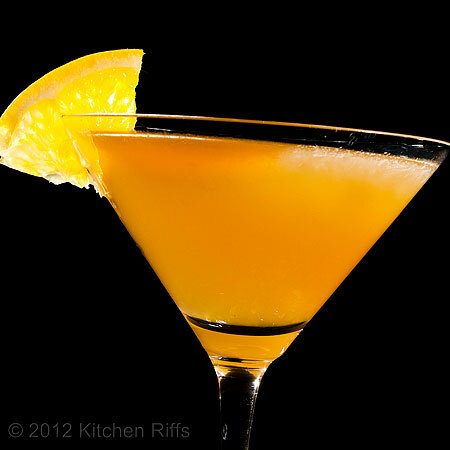 The “London” ratio for the drink is 2:1:1 (2 parts cognac, 1 part each of lemon juice and Cointreau). I suggest using this ratio the second time you make a Sidecar. Then you can evaluate which of the two ratios you prefer. The 1:1:1 formulation is preferred by Ted Haigh, in his Vintage Spirits and Forgotten Cocktails. The 2:1:1 version is David Wondrich’s favorite formula. The Paris formulation is a bit sweeter than the London version – but both are mighty tasty. If you can’t decide between the Paris and London ratios, you might want to split the difference: 1½ parts cognac, and 1 part each of lemon juice and Cointreau. 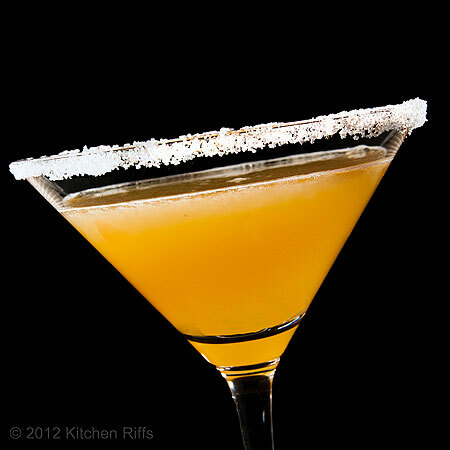 In fact, over the past year, this has become my favorite way to mix a Sidecar. Many other mixologists have their own opinions on how to make this drink. Gary Regan in The Joy of Mixology advocates 3 parts cognac, 2 parts Cointreau, and 1 part lemon juice (that’s too sweet for my taste). Robert Hess on his DrinkBoy website suggests 4 parts cognac, 2 parts Cointreau, 1 part lemon juice (Hess also has a link to a great video on how to mix a Sidecar). And David Embury, in The Fine Art of Mixing Drinks calls for 8 parts cognac, 2 parts lemon juice, and 1 part Cointreau! Too sour for my taste. No matter what ratio you prefer, you should definitely use fresh lemon juice in this drink — its flavor is critical. When ordering this cocktail in a bar or restaurant, make sure they’re not using “sour mix” (which makes a dismal Sidecar). If they don’t have fresh lemon juice (or at least juice that’s been squeezed within the last few hours), order another drink. Cognac (French brandy) can be quite pricy. For cocktails, you usually don’t need the top-shelf stuff. A good VSOP (very superior old pale) in the $12 to $15 range should work. I like (and use) both St. Remy and Raynal. Salignac is also a great brand, but a little more expensive. 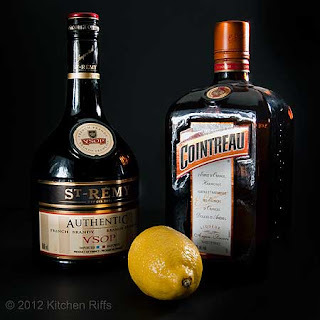 If you don’t have Cointreau on hand, you can use a good triple sec. But Cointreau really sings in this drink, so I’d make every effort to use it. The Sidecar is usually served “up” (chilled and strained into a cocktail glass), although it can also be served on the rocks. I much prefer the “up” version. Most people don’t bother with sugaring the rim of the glass these days. I find the sugared rim makes the drink too sweet — although it does look pretty. When I garnish, I prefer a lemon twist (or sometimes an orange slice). But it’s a good drink without any garnish whatsoever. The theme of this blog is “Season to Taste . . . Cook Until Done.” Which means, prepare food and drink the way you like them. Fortunately, none of this is rocket science. So just mix a drink (or prepare a dish), taste it, and adjust next time if necessary. “And you always feel compelled to consume the errors?” she asked. “Waste not, want not,” I replied, raising my glass. This drink alone is why I keep a bottle of Cointreau in the house. Hi Jamie, it's really a terrific drink. And it's also the reason why I started buying Cointreau (although the Pegu Club and Mai Tai are two more good reasons to have Cointreau on hand!). Thanks for your comment. Very interesting. I do believe it is happy hour. Hi Abbe, happy hour sounds like a terrific idea! Thanks for stopping by. Thank you for reminding me of how great this cocktail is! I love it, but don't drink it nearly enough. Your rendition looks fabulous. Hi Katherine, it's a great drink, isn't it? Thanks for the compliment - and the comment! Hi Julie, classic cocktails are great, aren't they? Alas, cocktails can be hard to photograph! The unwanted reflections on the glass are what drive me crazy - I use a lot of black foam core to block unwanted light. Thanks for the kind words and the comment. And the back blown out of his head." No wonder they needed a real drink now and again. Hi Robert, I love Kipling! And that's such a great poem you just quoted. (Although I wonder if you meant this reply for my post on the Pegu Club Cocktail - for those that don't don't, the Pegu Club was the name of a British Military Club for Officers in Burma.) Anyway, thanks for the comment. I had to sneak back to your archives and I am glad I did. Love the drink! I will have one with the sugar on the rim and lemon. Your photography is great! Hi Judy, I'm always happy to have you rummage around in the archives! This is a great drink, definitely in my top 5. Thanks for the kind words, and the comment. I knew the sidecar was an easy drink to make, and this just makes me more determined to make it at home - and more annoyed than ever that the last two bar/restaurants I went to couldn't make it for me! Hi Deborah, too many bars and restaurants don't have fresh fruit at the bar. And without freshly squeezed lemon juice, this cocktail isn't worth drinking IMO. Otherwise? It's one of my two favorite cocktails! And fortunately it's quite easy to make at home. It's worth the effort, trust me. ;-) Thanks for the comment.